If your high-end commercial or residential design calls for an elevated level of connectivity, equal ease of access and an imaginative use of space, consider Klein’s easy-mounting frameless sliding glass corner doors. Interior doors that swing require extra space to accommodate their function. 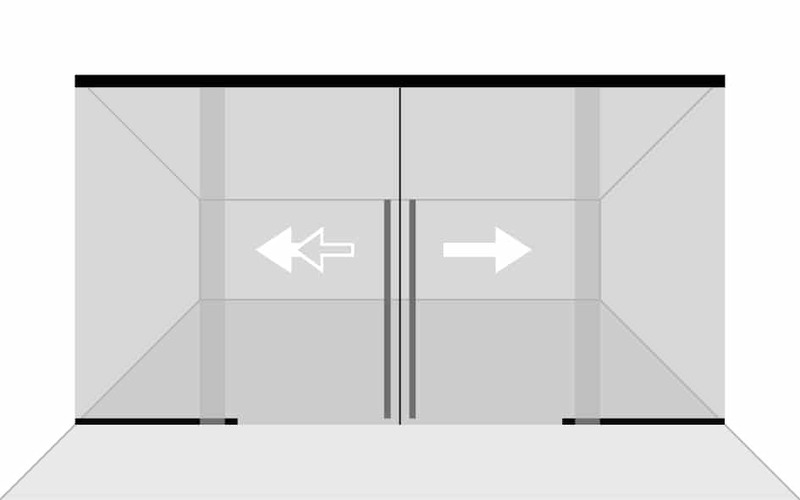 And even traditional sliding doors can’t be placed on a corner without a floor track or vertical supports. See how the easy-mounting EXTENDO Corner was used to successfully partition this minimalist workplace application in Frederick, Maryland. 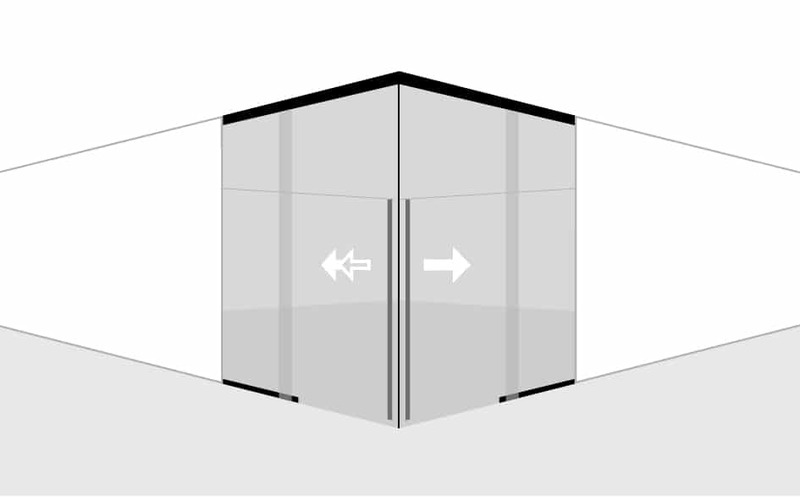 This video demonstrates a corner application composed of two systems: Extendo 2 doors on the left + Rollglass on the right side… with perfect 45º finishes. For spaces that require an elegant bathroom entrance, such as minimalist homes or luxury boutique hotels, frameless sliding corner doors can easily be combined with telescoping glass panels or fixed glass panels to maximize the openness of the living place. Due to the recessed installation and the frameless system, these non-conventional door enclosures and telescopic glass and fixed panels give your clients and their guests creative new ways of entering bath environments. All of Klein’s systems are created to hold whatever type of glass is needed to ensure the proper degree of privacy, including monolithic and laminated which allows the glass panels to be decorated. When planning for workplaces, bedrooms, closets or other areas that require a high level of privacy, an elegant corner entryway can be created within a larger suite by combining walls with corner doors. This stunning glass cube partitions the room without dividing it visually. 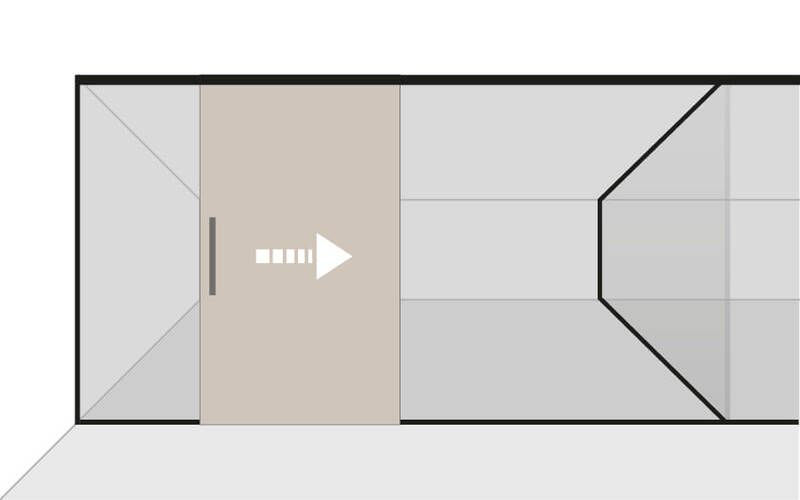 These corner doors provide unlimited applications for creating partitions for workplaces walk-in closets, or bathrooms, adding beauty and comfort to your home or commercial project. 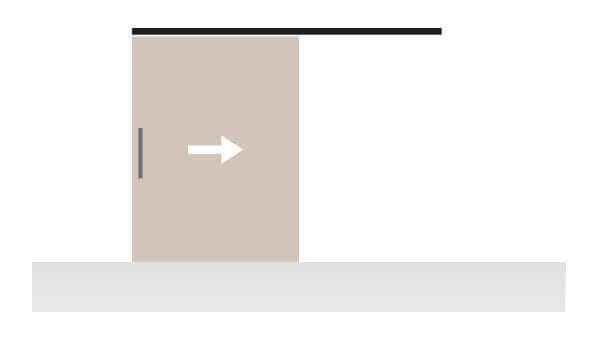 Corner doors can also be a great way to reimagine entrances to the bedroom. 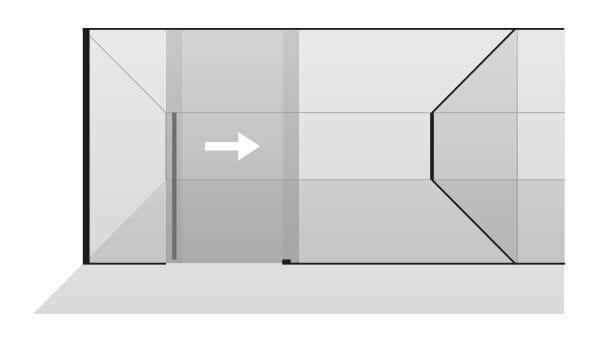 Whether used in homes or hotels, sliding glass corner doors can be integrated into a glass cube or applied on drywall, making your application truly unique. 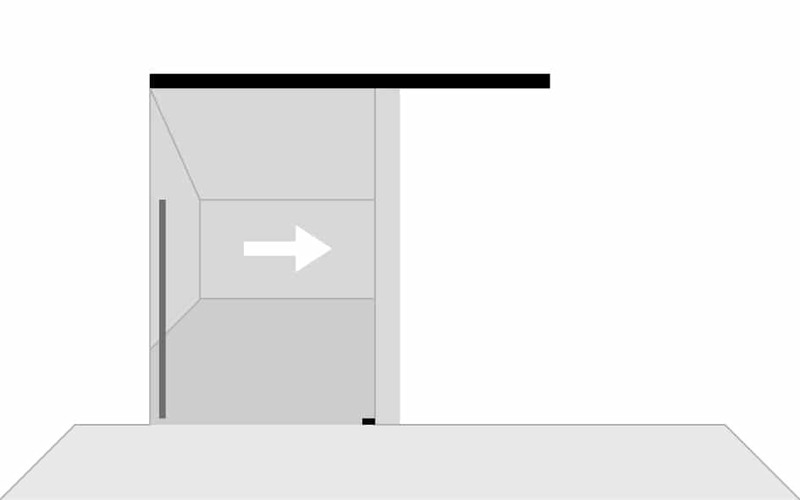 And the obvious benefits of a large corner opening will inspire your clients, especially those who are looking for a unique design for their most demanding visitors. 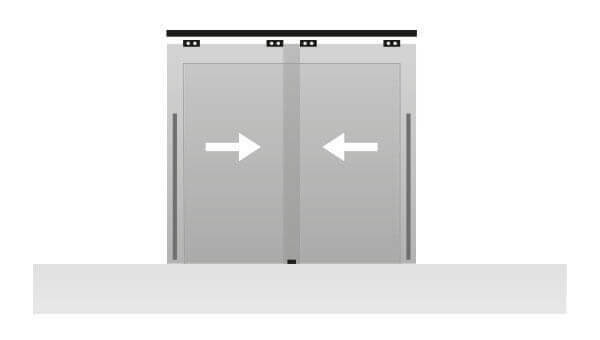 The ambient, synchronized UNIKMATIC offers another option for a bi-parting corner that opens at 90 degrees. Klein’s easy-mounting frameless glass corner doors empower your most creative response to market trends by providing space-saving design that brings in natural light. Due to their day-lighting and ADA capabilities, all Klein glass corner doors, fixed panels and sliding panels, can help you meet LEED project requirements. For clients who prefer a non-glass material, the SLID wooden/metal bi-parting doors provide an easy-mounting minimalist design for residential and commercial applications, offering the same ease of access and imaginative use of space. 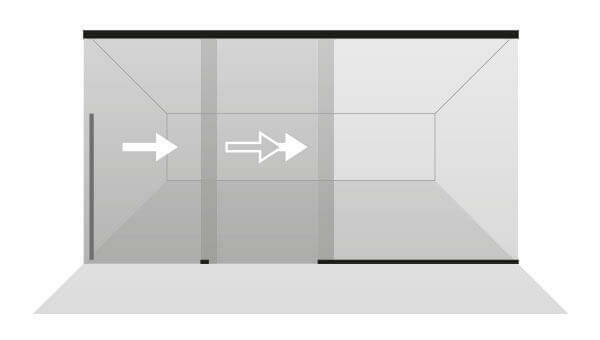 And finally, in a touch of effortless convenience, the self-closing systems mean that the door will never be left open, even if an occupant forgets to close it all the way. Meeting the challenge of minimalist residential and commercial design is what drives you. Give yourself the tools to exceed expectations: Klein sliding glass corner doors. Don’t just rethink corners – enliven them. Klein USA, Inc. is a global leader in high-quality sliding glass door systems uniquely designed to provide the A&D industry with the most innovative solutions, enhancing both space and light sharing. Use of Klein’s frameless glass corner doors imparts a clean, modern look to any commercial, residential, or hospitality application.